If you are an avid outdoor adventurist, chances are that you like to partake in a variety of activities that get you immersed in nature. 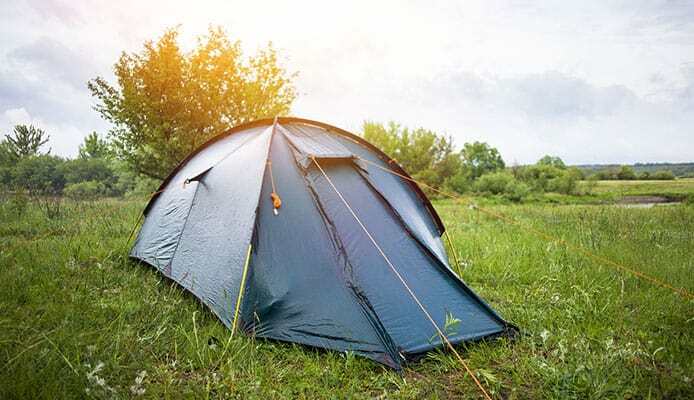 One common activity that any outdoor enthusiast likes to partake in is observing nature. 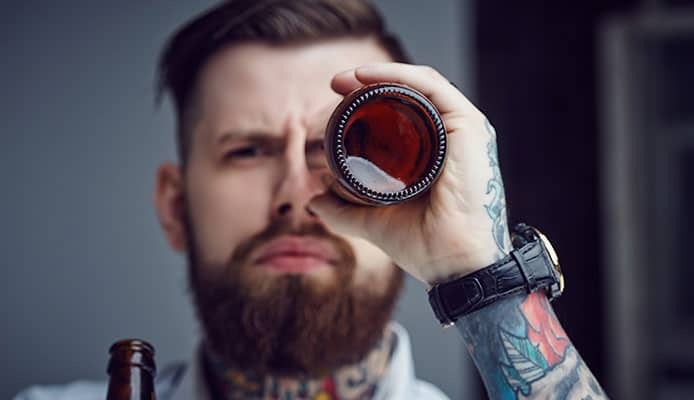 No matter if you are hiking on a trail, fishing in a river, or enjoying some seasonal hunting, a monocular can be an excellent tool to add to your collection of outdoor gear. Monoculars have advanced greatly in their modern designs. 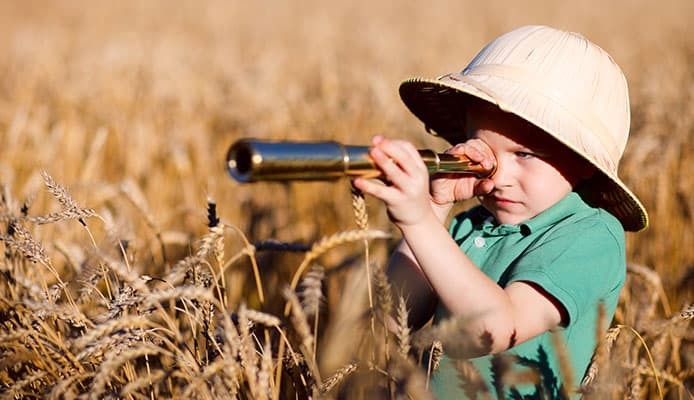 They are an excellent alternative to binoculars and telescopes because they are smaller and more compact. Monoculars can easily be stored in a pocket, but still provide the viewing distance you need. The best monoculars will have you easily viewing any object in great detail. With monoculars you can easily survey the landscape or observe an animal, which can make your time in the great outdoors more enjoyable. Don’t strain your eyes to see. Let the 10 Best Monoculars in 2018 do the work for you! 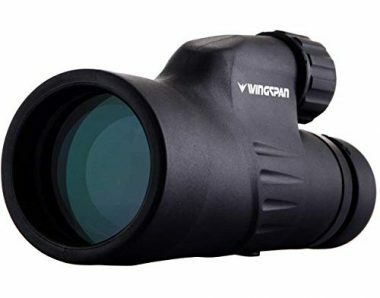 This High Powered Monocular by Wingspan Optics features a 12x50 magnification, allowing you to have a clear and bright picture. This means you can zoom 12 times, giving you the visibility range of 1000 yards and the lens gives you a greater view with 50mm. You can easily adjust your focus with one hand, which allows you to quickly target any object and see a clear image. This is a daytime use only monocular. The body of this monocular has a durable armor, providing protection and a non-slip grip. This compact monocular is waterproof and fog proof. You can easily use it in any weather conditions or any environment. Wingspan Optics provides a carrying case, eyepiece and lens protection, as well as a cleaning cloth in the purchase of their monocular. This Titan High Power Prism Monocular by Gosky features a large BAK-4 prism inside with a fully multi-coated lens. This compact monocular is a guarantee for superior light transmission to deliver clear and crisp images. 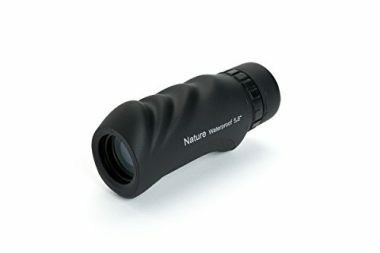 It features a 12x50 magnification and can be the perfect tool for a variety of outdoor activities like hunting and bird watching. The body of this pocket monocular is solid and features shock absorbing rubber. The rubber acts as a grip to give your hand security when holding the monocular. This design is waterproof, shockproof, and dustproof. It is nitrogen filled and O-ring sealed to ensure waterproof function. 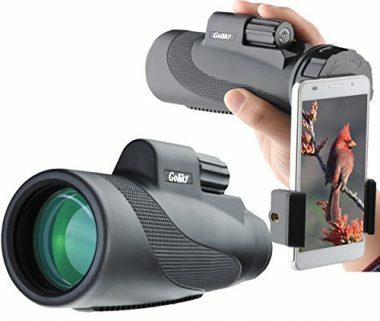 On top of this high power monocular design, Gosky has made their device smartphone compatible. If you would like to use your smartphone screen to view the monocular’s image, you can separately purchase a smartphone mount. You can quickly align your smartphone camera lens to the eyepiece of this monocular to create clear images that you can easily look at on your phone screen. This monocular is the best monocular if you are looking for a variety of ways to use your device. 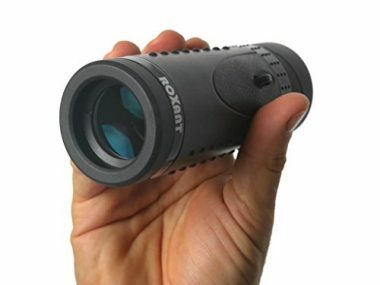 This Authentic Grip Scope Monocular by Roxant allows you to see the great outdoors in high definition. This model is designed with a no slip, comfort molded grip to provide security in your grasp. You can easily steady this compact monocular with one hand and have less shaking when holding it up to your eye. This high power monocular is built strong, but lightweight. With this monocular you will view with a 6x30 magnification that has high end optics. This all glass optic system has a superior BAK4 green prism and the lenses are fully multi-coated. This compact monocular is great for many outdoor activities and can be easily put in a pocket. There is a retractable eyecup to ensure any user, with or without glasses, will be comfortable. With Roxant’s compact monocular design, seeing is believing. This compact monocular features a 10x25 magnification with fully multi-coated lenses. The increased light intake gives you clean and crisp images. The body of this monocular is armored and rubber coated to ensure a non-slip grip. This high power monocular is nitrogen purged and O-ring sealed, which makes this waterproof and fogproof in any environment. There is an adjustable eyecup, so users with or without glasses will feel comfortable with this monocular. Vortex Optics includes their neck lanyard and soft carry case, in your purchase. 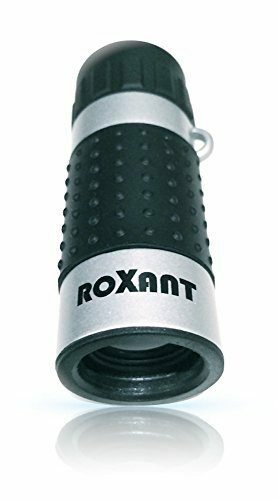 If you are looking for the ultimate compact monocular, this High Definition Ultra-Mini Monocular by Roxant is the best monocular that can be easily tucked away into a pocket or purse. This pocket monocular deliver in power with a 7x18 magnification. There is high definition optical glass and multi-coated optics to deliver a bright and clear picture. This top rated monocular has a molded grip to eliminate shaking and ensure you won’t drop it during use. Roxant includes a carrying pouch, cleaning cloth, and neck strap. With this Roxant monocular, you can easily enjoy a variety of activities in the great outdoors! 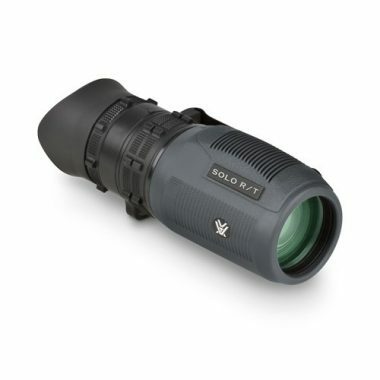 This Solo 8x36 Recon Tactical Monocular by Vortex Optics delivers power in a compact and lightweight design. This monocular features fully multi-coated lenses with an anti-reflective coating, which allows the lens to soak up the light. More light means a clearer picture. This also allows this high power monocular to be easily used in low light conditions. There is a flared eyecup to block out light around your eye, so you can clearly see the image. However, for glasses users, the eyecup can be folded down. There is a large focus wheel with a smaller wheel for reticular focus. This allows you to optimize your image and your target. The compact monocular has a textured rubber armor to add grip. As well, you can attach the monocular to a pocket or belt with the included utility clip. On top of its great design, this best monocular is long lasting because it is waterproof and fogproof. You will easily enjoy using this compact monocular on a variety of outdoor adventures. 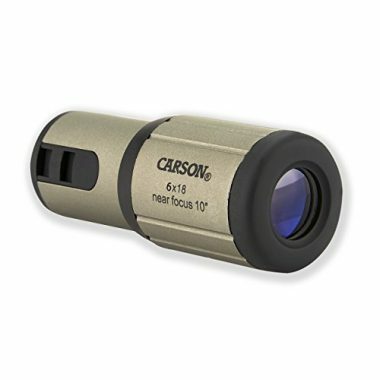 If you are looking for a monocular that can magnify the image of close objects, this Close-Focus Monocular by Carson is an excellent compact monocular design for you. This monocular will allow you to zoom in on details that are 10 inches away with a 6x magnification power. Or you can view objects that are further away, up to 1000 yards in distance. The monocular is extremely lightweight and can be easily added to your gear. Carson includes a soft pouch, wrist strap, and lens cloth with your purchase. As well, this pocket monocular comes with Carson’s Limited Lifetime Warranty to ensure you are always pleased with your device. This Nature Monocular 10x25 Black by Celestron is an excellent outdoor monocular. This monocular was built rugged and is ready to take anywhere. The lens is multi-coated, which give bright and clear pictures. This compact monocular has a durable armor that is rubber coated. The rubber has deep grooves to provide a strong grip in your hand while using the monocular. You can easily focus this compact monocular with one hand and rest your eye easy with the eyecup. This monocular is a great choice to use for a variety of activities. This pocket monocular is lightweight and can be secured to a belt or pocket with the included clip. Also included in the purchase are a case, lanyard, and cleaning cloth. This Compact Monocular with Single Hand Focus by HDE is an excellent choice for any object that you may want to see closely. This compact monocular is great for activities like bird watching, sporting events, and nature. The monocular features a 15 to 55x zoom with a 21mm objective lens. It is extremely lightweight and can be easily attached to a tripod. HDE includes a carry case and cleaning cloth with the purchase. This Blackhawk Waterproof Monocular by Barska is the best monocular design for hunting. This lightweight monocular is designed to be portable, rugged, and weatherproof. 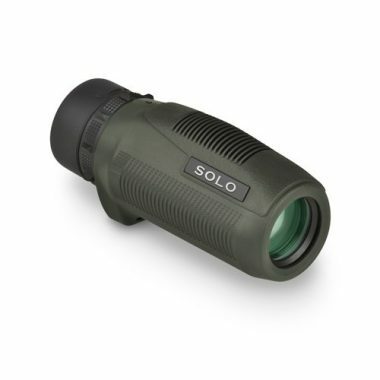 This high power monocular offers a 10x magnification and a 60-degree wide field of view. The lens is multi-coated, and the inside features a BK-7 roof prism. The housing of this top rated monocular is weather sealed to ensure high performance in any weather conditions. The monocular is weatherproof and fogproof to ensure the best picture. The body of this monocular has a diamond patterned rubber armor grip, which adds texture to ensure it is not dropped during use and is shock absorbent. There are ergonomic finger grips and a 17mm eye relief for quick views on the go. This high power monocular has an O-ring seal and is dry nitrogen purged. This will prevent anything from entering the device, as well as stop moisture build up and clouding. 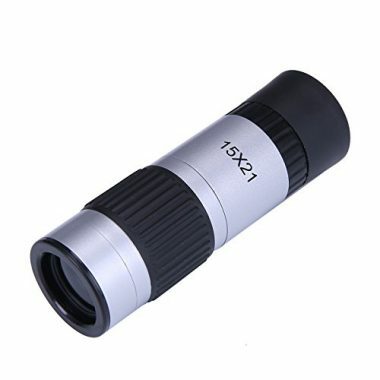 There is a large center knob to focus this monocular to create a precise image. Barska delivers a quality product and this is the best monocular for those who are looking to be on the go. Barska includes a wrist strap, lens cloth, and soft carrying case in the purchase. With this compact monocular, you will be able to see and go the distance! When you are deciding which monocular is the best to buy, it is important to consider a few key features. You will have to decide which monocular design best suits your needs and there are many different options available. From the style to the magnification, there are elements of each design that can enhance your viewing capabilities in the outdoors. Monoculars can be used for a variety of different tasks and activities. Whether you are observing for leisure or working in the field, monoculars can be an excellent tool to add to your gear. It is best to consider the different designs of each monocular and ensure you choose the bet monocular that suits your needs. Here, we have made a guide of some elements of a monocular’s design that you should take into consideration before making a purchase. With our guide we give you the ability to confidently choose a monocular design for you. There are a couple different ways as to how monoculars are sized. The first size importance is the physical size of the device and how large it is in your hand. The second is the size of the lens. Finally, the third is the size of the magnification. The second and third aspects of a monoculars size will be expanded in their own section below. With a monocular, you will be saving space when packing your gear. Monoculars are not doubled like binoculars, which means they are less bulky. Also, because they are not as long and thick as a telescope, you will save space. Monoculars are a great way to bring a smaller viewing device along your outdoor trip. Physically, the majority of monoculars that are popularly chosen for use with hiking or fishing or hunting, are a smaller and manageable size. Most monocular designs will be easily carried in one hand and stored away in a small pocket of a jacket, pants, or bag. However, there are larger monocular sizes available, so it’s best to consider how powerful of a lens you would like, as this will determine the physical size of the monocular device. There are many different types of monoculars. The type of monocular is usually determined by the features that it has within its design. However, four of the most common monocular types are the infrared, thermal imaging, compact, and night vision. Infrared monoculars use a different wavelength of light for better night views. The wavelength, infrared, can illuminate night images and are often used as a night vision monocular. 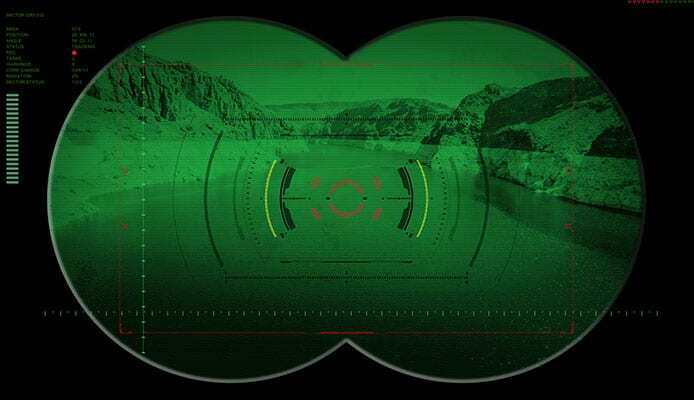 The best night vision monocular design that uses infrared will have the ability to switch the use of the infrared on and off. This allows you to use the monocular in both the daytime and nighttime. This type of monocular are often affordable but may not be best for hunters and observers. Some infrared monoculars have a red light that is visible when facing the lens, which may disturb animals. Thermal imaging monoculars are a different type of night vision monoculars, which work by detecting and imaging the heat given off of an object. The heat is mapped to develop the image and they are normally sensitive enough to map people, animals, and rocks that are still hot from the day’s sun. The benefit of this monocular is that it can be used during both the daytime and nighttime without needing to switch modes, like with the infrared monocular. This monocular also does not give off a red light and can make animals easier to spot at nighttime. Compact monoculars are even more compact than the generally compact monocular design. Most monoculars are compact when compared to other viewing devices like binoculars. However, some monoculars feature an extremely compact design. Compact monoculars are normally a few inches shorter than standard monocular designs and can be easily carried with you every day in every situation. To obtain their smaller size, most compact monoculars will have a smaller magnification and lens diameter. These may not give you the detail of larger monoculars when viewing at distances, because of their smaller design. But compact monoculars are still excellent at providing clear images for activities such as concerts or sign reading. As well, they are normally affordable. Night vision monoculars are used primarily at night to be able to see object in the dark. The night vision monocular is normally a choice between the infrared and thermal vision monoculars, which are each described above. Most design also allow for daytime use as well. You can choose which image you prefer to use, infrared or thermal imaging. The objective lens size determines how much light can get inside of the monocular viewing device. The larger the lens is, means the more light that can get inside. The more light inside means that you will have a clearer picture when using higher levels of zoom. The allowance of more light entering the lens also means that you will have a better picture and use during dawn and dusk. Keep in mind that the objective lens size with change the physical size of the monocular device. The larger the lens is, means the larger the body of the monocular device has to be. If you are looking to save space, the notion of the biggest lens for the best picture, may not be best for you. If you are looking for an extremely high powered monocular, you should look at other devices, like a spotter scope, which may better suit your needs. This is the most important feature of a monocular device because it is the real reason that adventurists want a monocular in the first place. 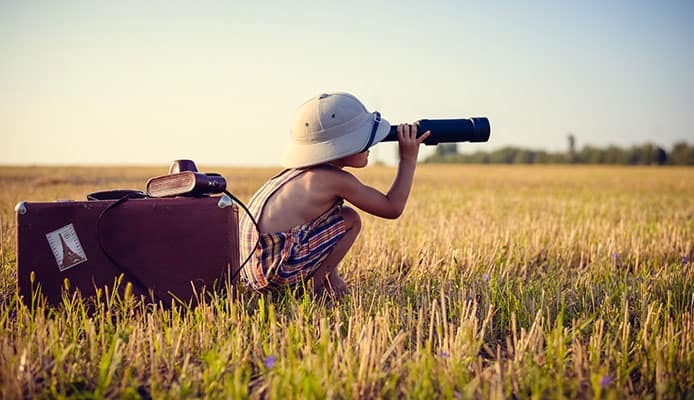 The entire function of a monocular is to be able to see things that are far away, as if they were right in front of the user’s eyes. As well, the image should be crystal clear. The measurement of the magnification power is usually stated in a range from 4-25 + power. This means that when you are looking at devices, the power is represented with a number and x, like 6x or 20x. As the magnification increases, the field of view will decrease. This means that you will have a narrower field of view and the viewing window will be smaller. The higher the magnification power, the stronger the power is of the monocular device. Remember that high power monocular devices are pricey. The higher the magnification power, the more expensive it will be. The field of view is the size or the diameter of the window that you can see when using your monocular. If you see a monocular device listed as 20ft and 20x, it means that you will have a viewing window with a 20-foot diameter and a viewing power of 20 times. As the magnification increases, the field of view will decrease. However, the field of view can be affected by other features of the monocular such as prism type and objective lens size. A high power monocular that has an excellent and expensive high zoom lens will have a better field of view than a model that has a high zoom but lower quality lens. Monoculars are able to work and create their image using prisms which are internal on the device. All monocular designs work off the basic idea and physics of a prism. A monocular works by passing light through the lens, which is then passed through the prisms. Using both the lens and the internal prisms, a monocular is able to create the image of an object that is far away, as if it were closer to you. Depending on the distance of the object and your location, some objects can seem like they are just inches away from you. There are three types of prisms that are normally used in monocular devices. There are roof prisms, porro prisms, and Galilean. A roof prism has more of an odd shape, than the traditional triangular shape of a prism, and they have two faces which meet at a 90-degree angle. A porro prism uses reflection and is in the shape of a triangle. Some porro prisms are a single prism and others are double. Roof prisms are best used with long ranges and would be an excellent choice for a high power monocular. Porro prisms are better with mid and close-range objects. Galilean monoculars work on the same concept as the other prisms, but they are best used with close-range objects. A lens coating is what is placed over the lens to assist in tasks like shedding water, increasing image visibility, and prevent the accumulation of fog. There are many different types of lens coatings. The four most common types of lens coatings are coated lenses, fully coated, multi-coated, and fully multi-coated. A coated lens is minimal and inexpensive to provide a slight improvement to the image, which it would not have it there were not coating present. This coating is the most inexpensive of all coatings. A fully coated lens brings another level of image quality that is one step higher than a coated lens and is also just slightly more expensive than a coated lens. Multi-coated lens will use different lens coatings on the same lens to deliver a superior and high-quality image. The price of these lenses will increase rapidly, as they are considered to not be a part of a “budget” monocular price range. Fully multi-coated lenses are the highest quality coating and top of the line. This coating will give several different coatings to the lens which will help the lens absorb light. These coatings will increase the image quality and visibility, as well as create a crisp image. These will be the most expensive lenses. Inert gas filled monocular are extremely high-end devices, which are rare and expensive. Some high-end monocular devices are filled and sealed with inert gasses. An inert gas is a gas which does not undergo chemical reactions when under a set of given conditions. A sealed lens also means that the device is sealed from water and dust entering inside, unless there is a malfunction. Inert gas filled monoculars will have a better image because the light won’t be split, reflected, or refracted by the inert gasses. Inert gasses are still rare and expensive, but they are becoming more common. For now, it is a feature that is best used with pros and extremely high zoom lenses. The waterproof rating of a monocular is an important key feature, because your device will not work if water makes its way inside. If water were to get into your monocular it would cause a poor image and fog over the lens, as well as the completely failure of the device. The best monocular will have a waterproof IP rating. The IP rating uses IP and then two number to indicate how waterproof the monocular is. For example, you may see an IP rating that says IP76. The first number is rated 1-7. The higher the number, the more protected the device is, with 7 being the maximum. The second number is rated 1-9 and like the first number, the higher the number indicates more protection. The first number of an IP rating indicates how resistant to dust and debris a device is. The second number indicates the water resistance. In general, any rating that is above IP56 is a good choice for a monocular. Eye relief will come in how far from the rear lens, your eye must rest to create a clear image. This is normally measured in millimeters, though the distance can be a large range. For users who do not utilize glasses, a 10mm-20mm range is the most common. You can adjust the distance by using the eye cup. If you have glasses or simply don’t prefer to have the monocular close to your eye, look for a monocular with a longer eye relief or distance needed between the rear lens and your eye. A focus adjustment is an extremely important feature in order to achieve a clear picture. When you are looking at objects far away, you often will need to adjust the focus to make the edges sharp. If a monocular does not have a focus adjustment, you should look for one that does. Nothing can be more frustrating than being unable to obtain a clear picture. There are some monoculars that can be adjust using one hand and others two. Some designs have a knob used to focus and other you turn the tube body. It is up to you to decide your preference of what kind of focus adjustment you would like. Q: What is a monocular? A: A monocular is a magnifying viewing device. It allows you to view objects in the distance, as if they were closer. A monocular has the same concept as binoculars, but instead of having viewing lens for both eyes, it is used with only one eye. This means that a monocular is a tube-shaped device, much like a telescope, though it does not expand and collapse. Monoculars are more compact viewing devices that can be great for many outdoor enthusiasts who would like to observe nature a little more closely than they would be able to with just their own eyes. Q: What is the difference between a binocular and monocular? 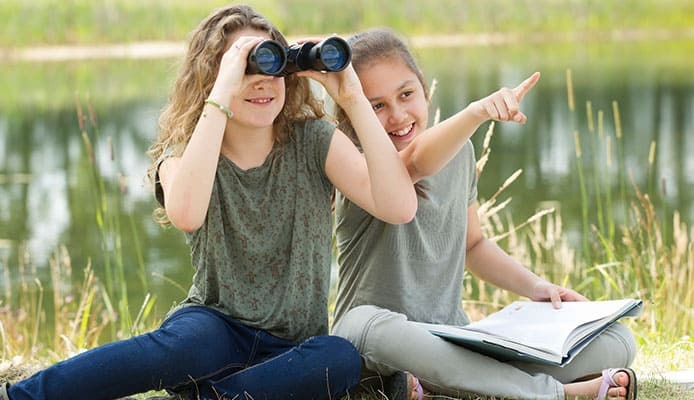 A: The main different between binoculars and monoculars is how many eyes you use. Binoculars are designed with a viewing lens for each eye. This means that you will have two tubular shapes with lenses inside that make up the binocular body. The tubes will be connected with a joint and have different features to allow you to obtain a clear picture. A monocular is used with only one eye. You will have one tube shaped device that has one rear lens for your eye. Though they use the same technology and principle, monoculars are an excellent choice because they are more compact than a pair of binoculars. Monoculars are extremely convenient to bring along because they can be tucked away in a pocket and used with one hand. Monoculars are great if you would like a viewing device but want to save on space when packing your gear. Q: What are monoculars used for? A: Monoculars are very much like binoculars and can be used for anything you would use binoculars for. This means there are a variety of outdoor activities where a monocular could be useful, helpful, or fun. You can easily take monoculars hiking, fishing, hunting, bird watching, tracking, and many other similar uses. As well, monoculars can be used in urban settings easily. You may find them helpful when attending a concert or reading distant signage. Monoculars can be a great tool that gives you the ability of distance viewing with ease. Monoculars have a variety of uses for a variety of people. They are an excellent tool to add to your collection of outdoor gear. When it comes to your monocular needs, finding the best monocular for you can greatly enhance your experience when on an adventure in the great outdoors. With these top rated monoculars, you will enjoy observing many details of nature. The best monoculars will deliver clear images and still be compact enough to carry easily. A great monocular will last you throughout many different trips to the outdoors. If you know exactly what you need and what monocular design you want, you can save time and money by investing in the best monocular for you! Do you own one of the monoculars that made it onto our list? Let us know how it has worked for your outdoor needs in the comments section below.